Business dress shirt with thin light blue stripes. Made from naturally easy-iron mercerised twill fabric. 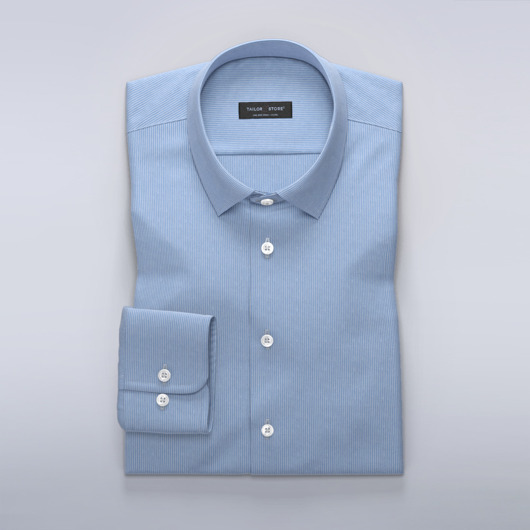 A perfect business shirt for the environmentally considerate stylish gent. Made to your measurements.